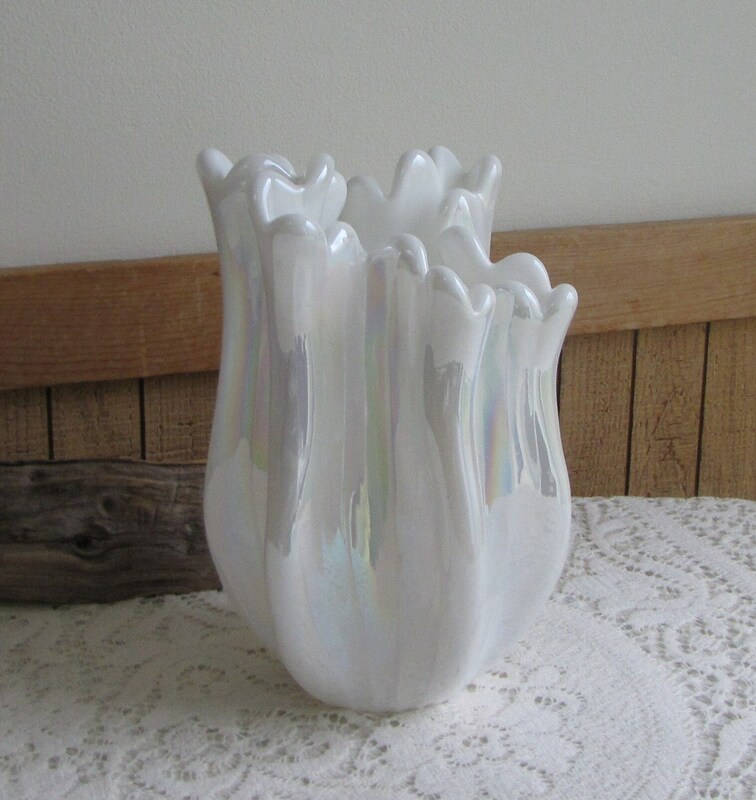 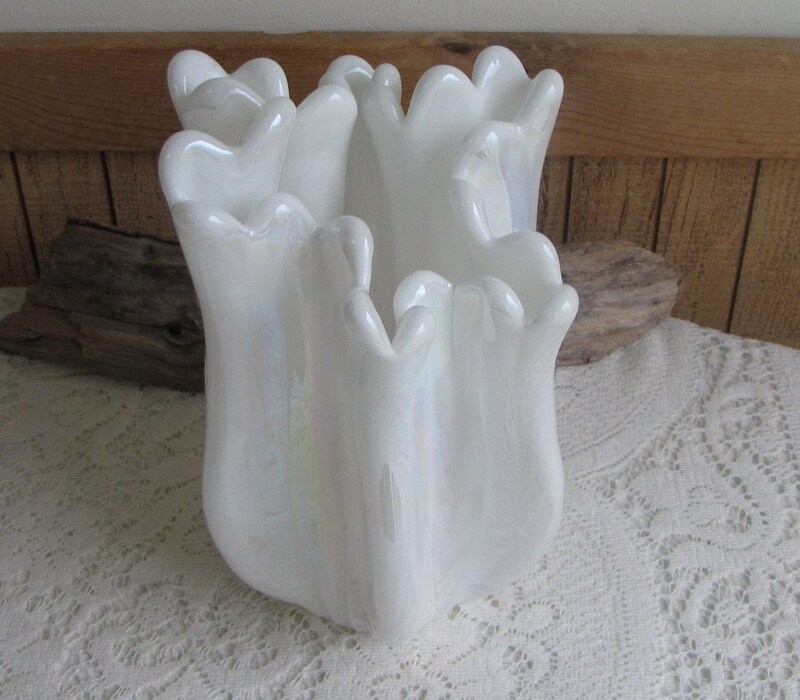 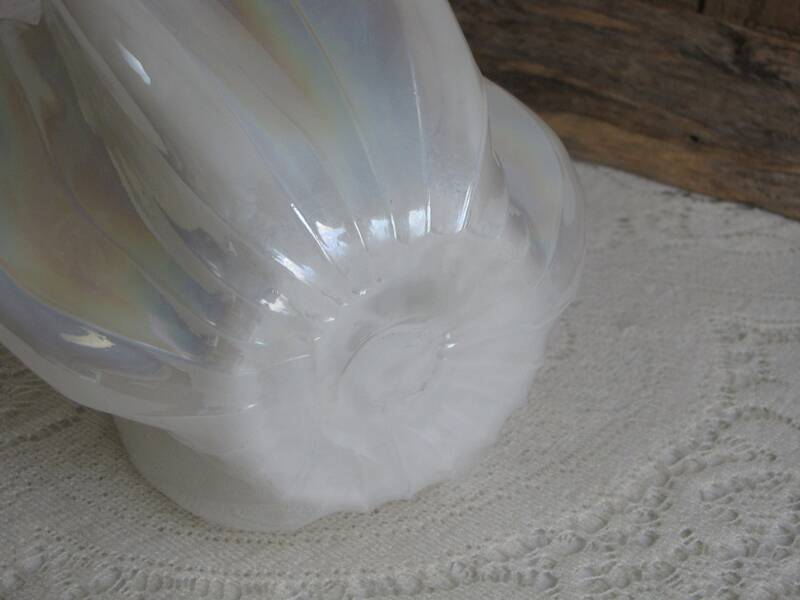 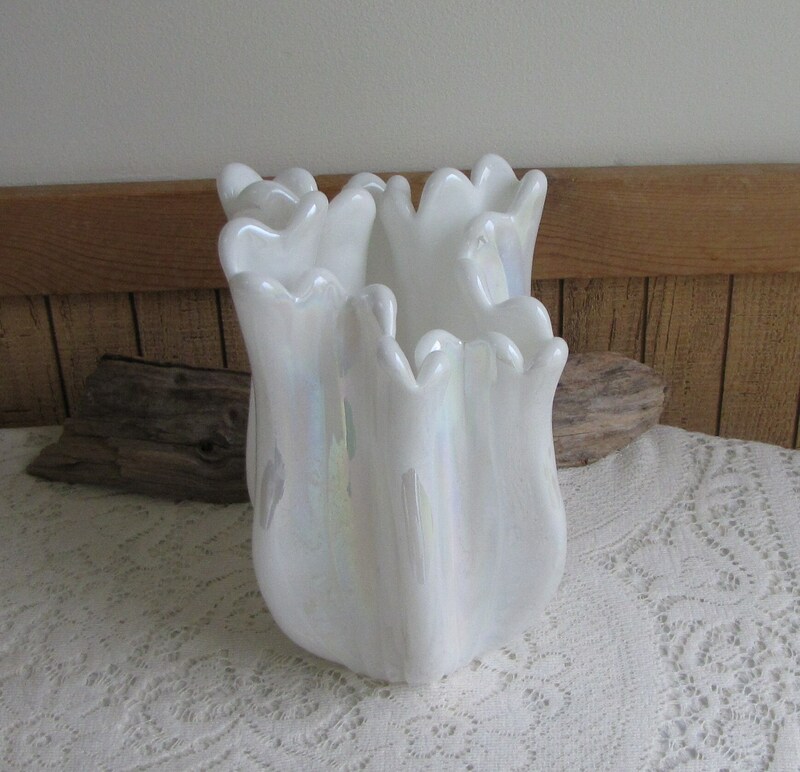 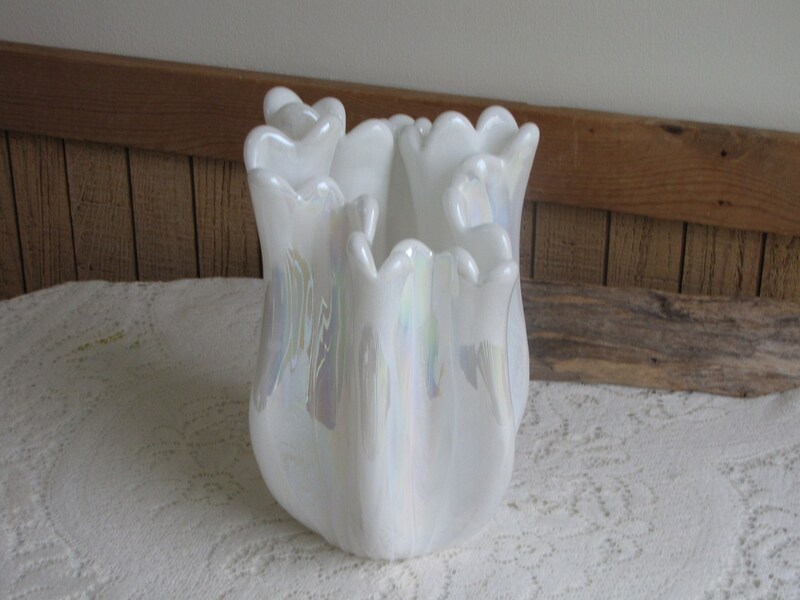 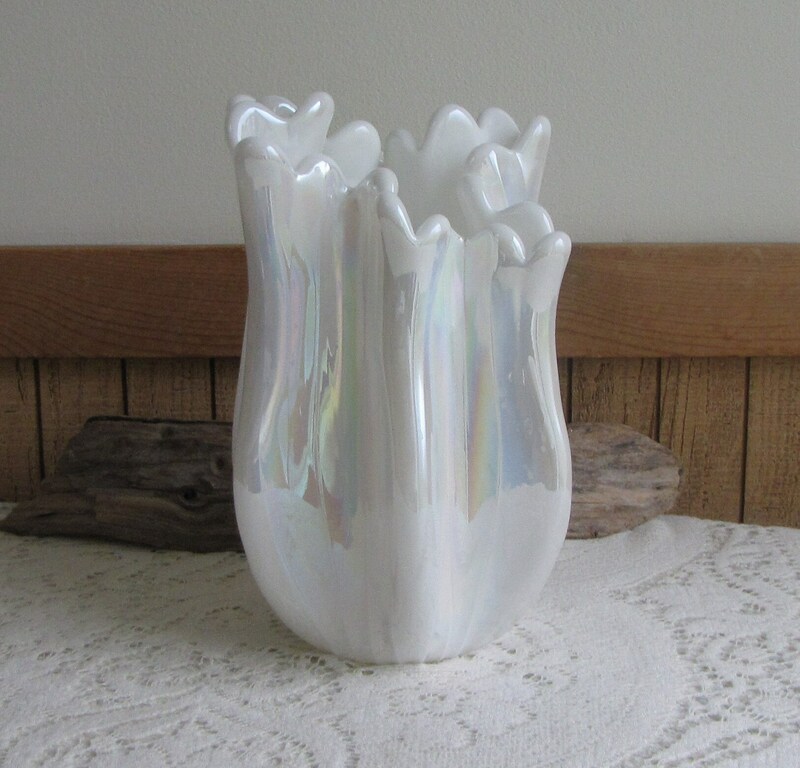 This is a white iridescent flower arranger that is in very good vintage condition; hardly a mark on it. 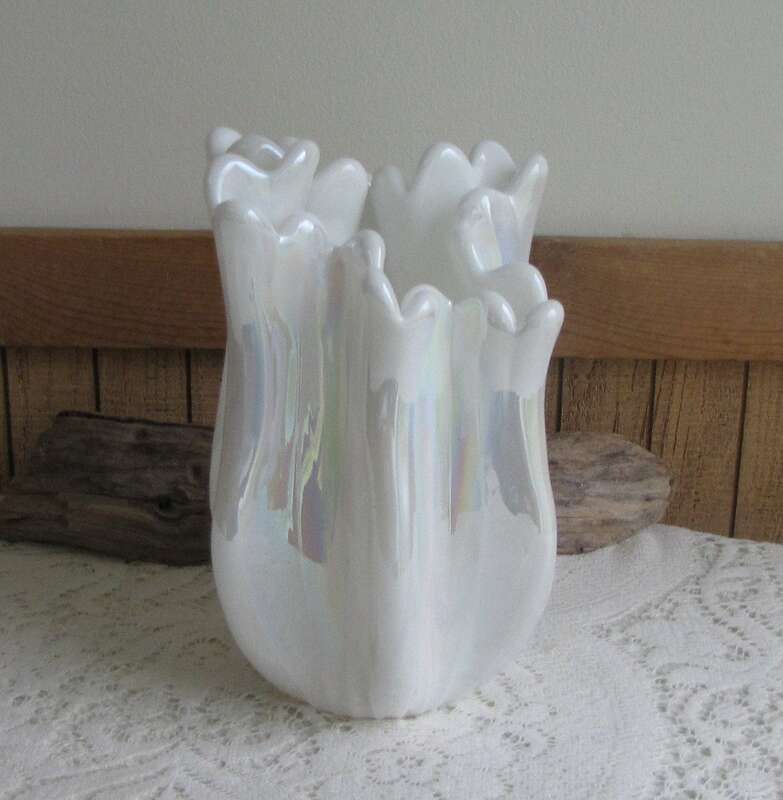 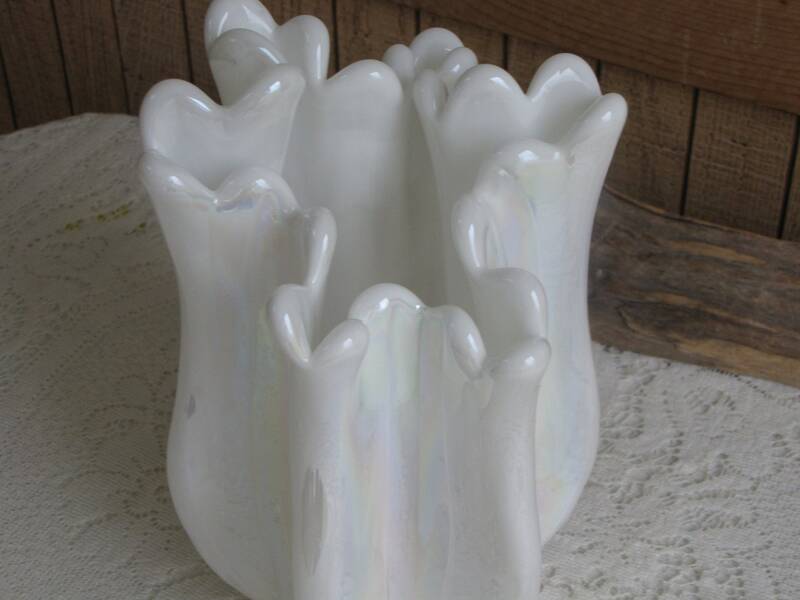 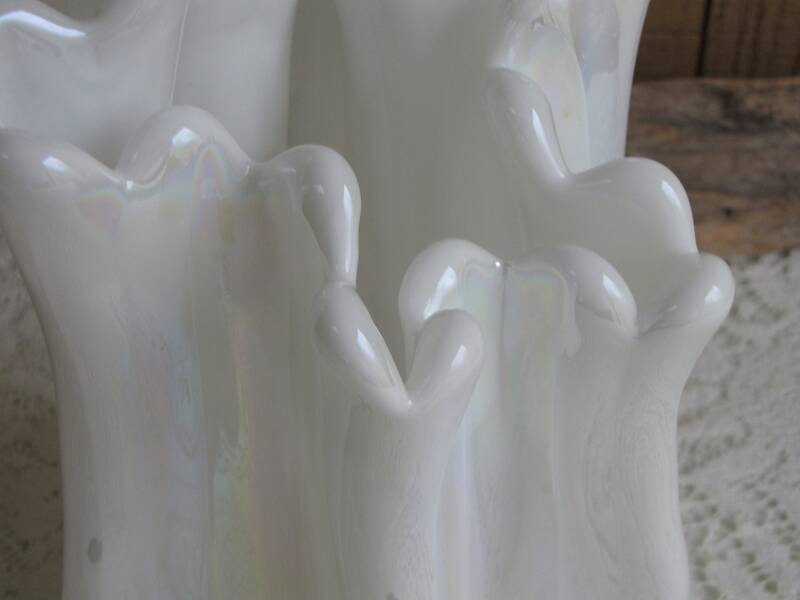 The white vase measures 9.5 inches tall and about 6.5 inches at its widest point. 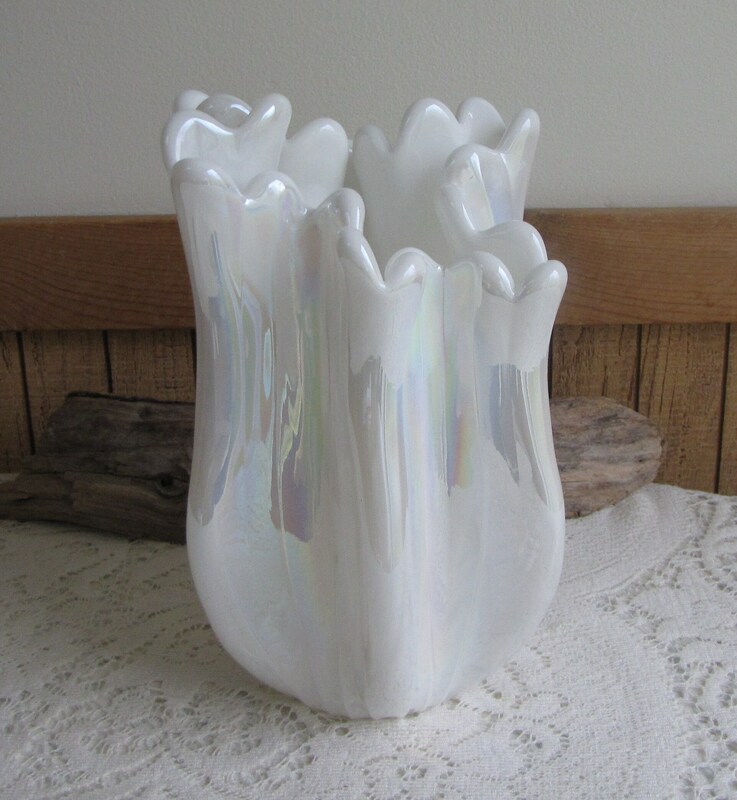 It is blown glass.